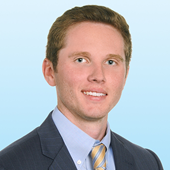 As a broker with Colliers International Idaho, Jared specializes in leasing and sale transactions in Eastern Idaho. Working out of the Pocatello office, Jared partners with Don Zebe, also a licensed sales person who specializes in the Eastern Idaho market. Jared and Don have expert knowledge in tenant and landlord representation, investments, build-to-suits and land. Jared has experience advising clients whose business models focus on restaurant and tech. Prior to joining Colliers Idaho, Jared was a commercial agent with Coldwell Banker Commercial Advisors in Pocatello Idaho and a residential real estate professional with Premier Properties, also in Pocatello where he successfully guided homebuyers and sellers through the sale and purchase of properties. He was also a branch manager at OneMain Financial where he performed closings, consulting services and provided loan and insurance products to members of the community. 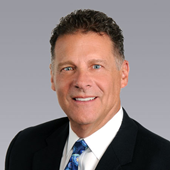 Don Zebe has an established wealth of experience and knowledge in commercial real estate through retail leasing, land acquisition, development and site selection. His professional career has been based on setting realistic goals and providing unprecedented service to his clients. Don’s business philosophy is the driving factor of his success. Don determines his client’s needs and then employs innovative strategies which require creativity and a can-do attitude coupled with his local market knowledge to create a plan for success. He is adept at providing the most accurate market information and is well acquainted with the intricacies of local market cycles. His experience allows him to anticipate and perceive possible problems before they occur. Don’s demonstrated skills in negotiation are derived from his work with tenants, landlords and investors with needs both large and small. Don’s tenant clients include many national regional and local and ancillary clients. Don’s tenant clients include many national regional and local and ancillary clients, such as Walgreens, Value Place, Valmont, ADM, AT&T, T-Mobile, Ruby Tuesday, Del Taco, DQ, Papa Johns, American Family Insurance, Sherwin Williams, DL Evans Bank, Mountain America Credit Union, Idaho Central Credit Union, ULTA, Maverik, Jimmy Johns, Lowes, Ross, Pawn One, Sprint, Domino’s, Stryker and others. Owners rely upon Don’s market knowledge, local relationships and understanding of the business climate to market and promote their properties. A partial list of clients includes Pine Ridge Mall, Trevision Development, Lithia Motors, Kimberly Clark, Tuscany Developers, Woodbury, Ball Ventures, Knudsen Poor Farms, Teton Investments, Cobblestone Partners, Spirit Realty, Dales Inc., John Thackeray, Kelly Properties, Knudsen Poor Farms and many more. Tenants, landlords, developers and investors not only need Don’s experience and proficiency but also the ability to trust and depend on someone who will represent their best interests. Because of his specialized knowledge and his character, even his competitor’s use Don when they need help in his area of focus, such as JLL, NAI, Cushman Wakefield, Newmark Grubb and others.